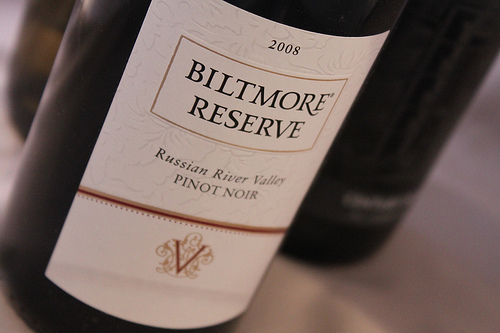 A 2009 Pinot from Russian River Valley? Of course, I had expectations. Regular readers may recall that Pinots are sometimes described here as being either above or below a blurry imaginary line of quality demarcation. So, with a pedigree like this, you'd expect the wine to be above - or at least somewhere on - that line. Yes, it fits the profile of Pinot Noir. But while half the shape is there (notes, acids, spice, and structure) and half the body is there (fruit, thrust), this wine is missing a driving core. What detracts from this wine, though, is the clipped aspect to it - no follow through. It's more than missing something, it's denying you the rest of what it's supposed to be - and maybe could have been.